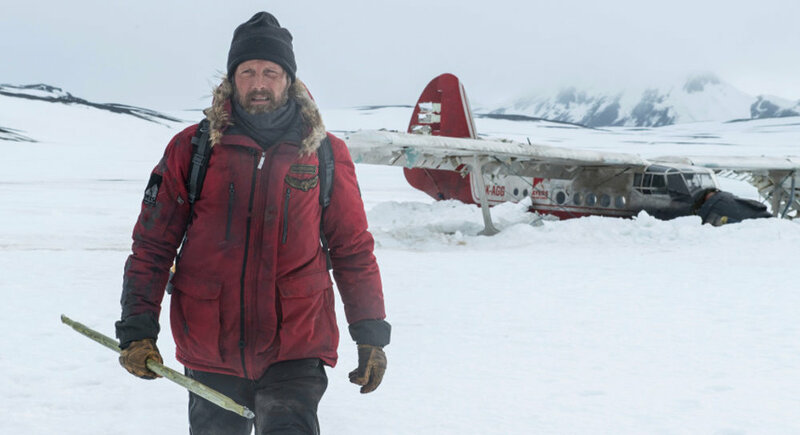 According to James Verniere of the Boston Herald, Joe Penna’s latest film Arctic starring Galen Erso himself Mads Mikkelsen is ‘the first great film of 2019’, and his review of the film delves into the structure of the film and why this is one of Mikkelsen’s very best performances. Every day, Overgard, to the beat of regularly timed beeps from his big diver’s watch, goes out into the vast, seemingly empty, white wild to use a hand-powered signaling device to contact possible rescuers. Giant icy clouds roll in lock-step in the distance, like the giant ice-white sheep of some frigid Norse god. Overgard sleeps in the plane’s unheated cabin in his clothes in a big sleeping bag. One day, he spies a giant polar bear wandering in the distance in search of prey. Later, he finds that the bear has raided his camp and eaten his boxed supply of trout. This is not a good sign. Then, in a windstorm, a small chopper arrives and hovers over Overgard. But it is swept off in a sudden blast and crashes. Suddenly, the stranded and in need of rescue has to rescue someone else, and “Arctic” becomes the story of one man who is tested beyond endurance to try to save another human being. From Rogue One, Galen Erso , as a stylized POP vinyl from Funko! Stylized collectable stands 3 ¾ inches tall, perfect for any Rogue one fan! Collect and display all Rogue one pop! Vinyl's!